The Venus Bushfires is a collective of one and many, of which Helen Parker-Jayne Isibor is the only constant member. The Nigerian-born musician, who moved to the UK when she was seven years old, is also renowned for her unique hair styles and the Swiss-made, PANArt instrument she plays called the Hang®. For me, Isibor’s eccentric style is reminiscent of Björk and Bat For Lashes. Isibor harnesses influences from avant-garde, psychedelic, tribal and meditative arts, drawing inspiration from 70’s musical pioneers such as Fela Kuti. Exploring the ethereal sounds of the Hang, the power of the talking drum and the quirks of children’s toys Isibor mixes visual and musical styles. When she visited BBC Africa in London, Kenyan presenter Sophie Ikenye asked her how she first came to play the Hang (see video of interview above). Isibor is also influenced by spoken word, poetry, the body as a percussive instrument, exploring simultaneous and delayed multi-modal sensory experiences, social commentary, creative arts therapy, politics and human rights activism. She has created music for Sony PlayStation and Disney and her songs have featured on French TV and documentary films. In 2008 she orchestrated the world’s first ever ‘hang flash gig’ which was broadcast on Channel 4. 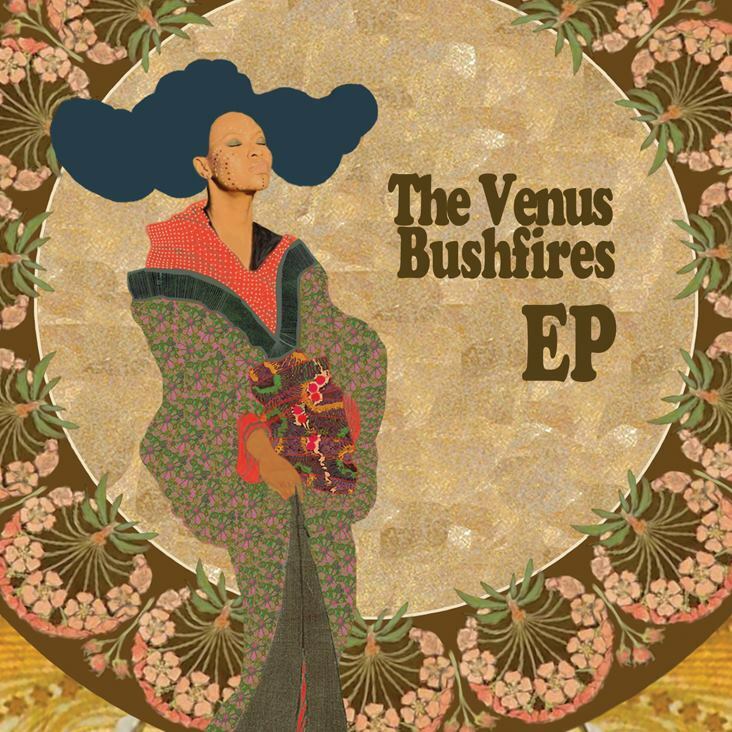 You can stream and buy her album The Venus Bushfires EP here. I found the track “Last Winter’s Sparrow” particularly memorable. Follow The Venus Bushfires at her official website, Tumblr, Facebook, YouTube and Twitter accounts. This entry was posted in Music, Nigeria and tagged Bat For Lashes, Björk, Hang instrument, Helen Parker-Jayne Isibor, Marianne MapLondon, The Venus Bushfires. Bookmark the permalink.